An Amabile Shoutout to our AYMEs who performed for City Council on Tuesday Jan 14th. 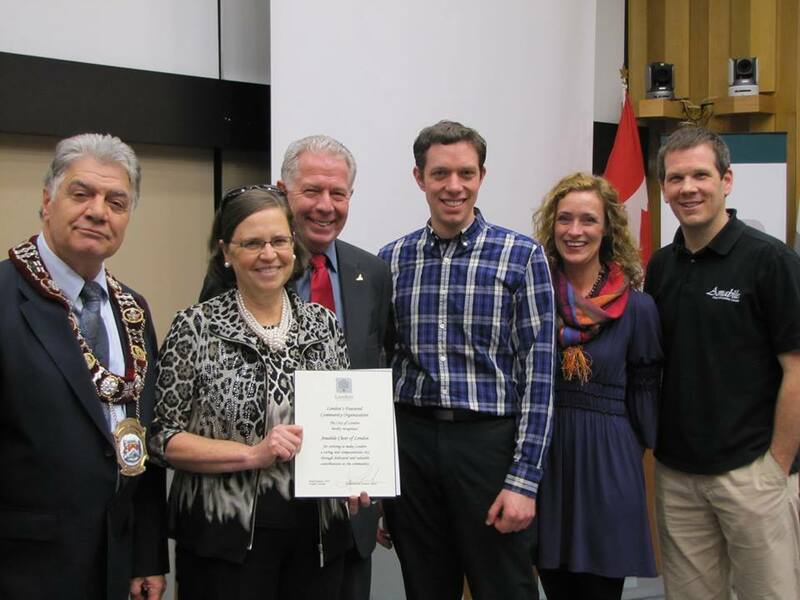 Amabile Choirs of London, Canada was presented with a Certificate of Recognition, as “London’s Featured Community Organization” by Mayor Joe Fontana and City Council, for contributions to our community. In the photo, Mayor Fontana, Carol Beynon (Artistic Director of the Amabile Boys and Men’s Choirs), Chris Harding (Amabile FDO), Wade Baillie (Board Chair), Nicole St John (Pillar Non-Profit Network who nominated Amabile), and Don Sills (YM Conductor). Feedback: Great singing on Tuesday! I know the members of council appreciated the incredible showcase of talent.